For the past 18 years, Lights On Afterschool (LOA) has been the only nationwide event that celebrates afterschool programs. The goal of this event is to show people the important role that afterschool programs play in the lives of not only the youth that attend, but the families and communities that the afterschool programs serve. In 2016, over 8,200 different LOA events took place throughout the country! In the past, Kansas events have consisted of family engagement nights, family carnivals, and day festivals. LOA is a great way to show community members, elected officials, parents, educators, and business leaders that afterschool programs are not just a safe place for children to go from 3pm to 6pm, but an environment full of enrichment and positive experiences. LOA is about telling your story. It should be a night of celebration! Governor Sam Brownback is scheduled to sign the Lights On Afterschool proclamation on Friday, September 22. The Kansas Enrichment Network, Boys & Girls Club of Topeka, the Department of Children and Families, and the Kansas Reading Roadmap will be present during the signing of the proclamation and help celebrate all that is afterschool! Looking for a program in your area or interested in hosting your own? 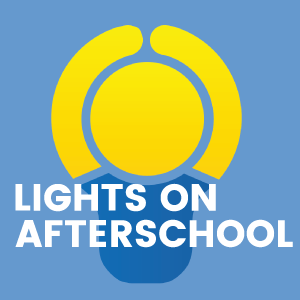 Visit the Afterschool Alliance’s Lights On Afterschool website here. The Afterschool Alliance has also gathered a myriad of resources to help plan and advertise your LOA event. Don’t forget to reach out to the Kansas Enrichment Network if you need further assistance.